Moroccan King Mohamed VI, was welcomed at his arrival by Senegal president, Macky Sall, at the beginning of a tour that will take the King to Ivory Coast and Gabon too. 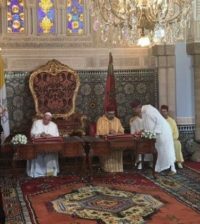 During this visit, the King Mohammed VI and Senegalese president Macky Sall chaired on Saturday at the presidential palace in Dakar the signing ceremony of two bilateral agreements. The two agreements are part of the strategic, multiform and active partnership binding the two African countries and showcases the two heads of state will to elevate bilateral cooperation to a level meeting the expectations of the two peoples. This is not the king’s first tour in the continent. 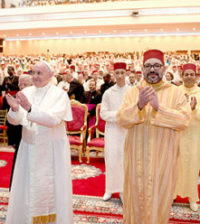 Since he came to power in 1999, Mohammed VI had visited several African countries, several times and shown a constant, keen interest in bolstering his country’s relations and cooperation with other African countries, part of a genuine south-south cooperation. He had thus visited Gabon, Senegal, Equatorial Guinea, Niger, Congo, DRC (Democratic republic of Congo)…, and laid the foundation stone for a renewed African policy. 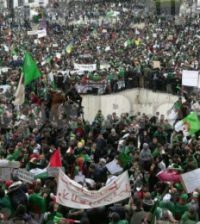 Although co-founder Morocco is no longer member of the African Union, its relations with all other African states have never been impaired by its withdrawal from the pan African organization. On the contrary, these relations have never been so strong. 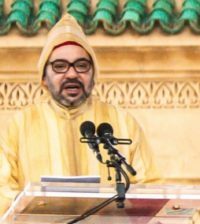 And “Morocco under the leadership of the pan-africanist Monarch Mohammed VI carries on well-established ties with almost all African countries” commented the Chairman of the Civic Commission for Africa M. Gustave Assah Benjamine. Official visits are frequently exchanged, consultations are regularly held and economic cooperation is constantly growing. 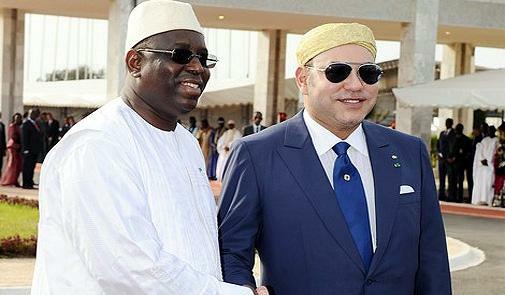 Between 2000 and 2010, for example, trade relations between Morocco and Senegal increased by over 400 percent. The king’s current tour evidences again, if need be, Morocco’s resolve to sustain an Africa-oriented policy and an unfailing solidarity that was shown when Morocco committed itself to help African countries gain their independence, build up their unity and promote their development.